friendly bio fuels or wind power. 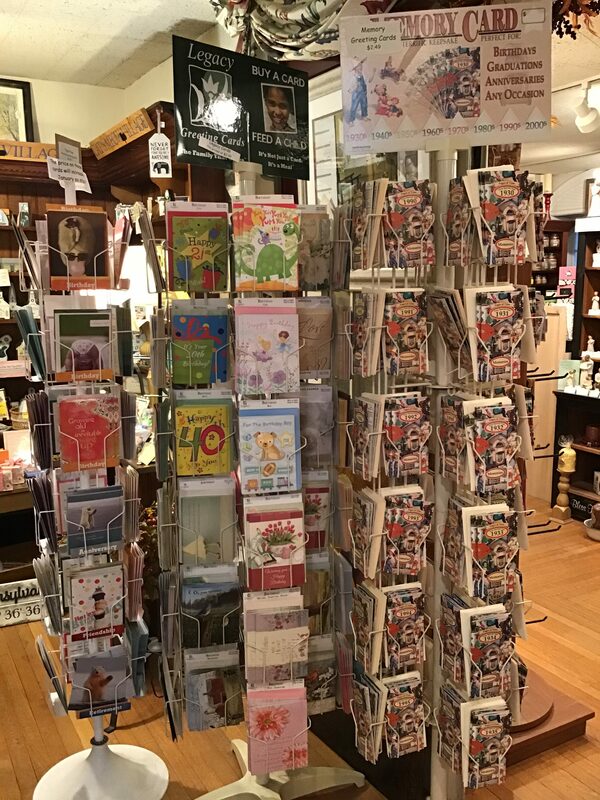 The Corner Shoppe, with the help from customers, donates a portion of the profits from every greeting card to feed hungry children in this country and around the world. We carry historical books about our area written by local authors, one of which all profits go to the local historical society. We offer Lang and Legacy products as well as Tree Free, Pages of Time, Eat Your Peas and the “Did I tell you?” books, as well as many more. 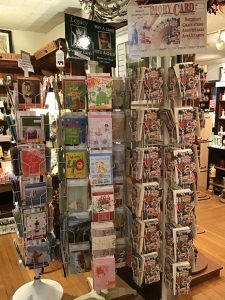 Visit The Corner Shoppe in Gilbertsville, Pennsylvania, to browse the inventory of greeting cards, books and other paper products made from recycled paper. For further assistance, call 610-367-6884 with questions.